The Points are Virtually Pointless! To kick off my blog, I am posting something that first appeared in a newsletter in 2010. It is even more relevant today! In the last 20 years wine professionals like me and wine lovers like you have been witness to the explosion of the wine business. Great wines are emerging from all over the world, jump starting new passion and appreciation for wine around the globe. This is without question the greatest time ever to be a wine drinker. 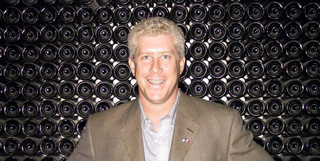 Great wines are consistently being made from the world leaders such as California, all regions of France, and Italy; but this revolution and competition to make fine wine has rejuvenated the wine industries and culture in other countries with long histories of wine production but that have been on the fringes of great wine. These include Spain, Chile, Argentina, Germany, Austria, Greece, New Zealand, South Africa and Australia, Portugal, Israel, Lebanon, Croatia, Slovenia, Switzerland and Canada. The advances in viticulture and winemaking have put the world all on the same level platform to compete and this of course is all great for the consumer. But, there is one aspect of this transformation that has been exploited and is now 100% fully out of control here in 2010, and that is rating wines by a point system. This all started honestly and simply with people like Robert Parker with his 100 point system and Jancis Robinsons and her 20 point system as a guide to the quality of a wine. These people have fine palates but in today’s world there has been a complete over inflation of the points, and if you look hard enough you can find a high numerical rating from someone for every wine. A wine score tells you nothing about a wine! It tells you nothing about the wines aroma, mouth feel and texture, varietal characteristics, what it tastes like, if should you drink it young or cellar it, how it was made, was it fined or filtered, how it was fermented, in oak, cement or stainless steel, did it undergo a cold soak pre-fermentation? Was it aged in wood and what type, for how long? What foods to enhance the experience? Ralph has the best palate of anyone I know. He has an encyclopedia of knowledge about wine & sports but the blog is about wine so that is probably what you are interested in. I am so excited for this blog because he never runs out of stories to tell about some of his amazing experiences in France, Hong Kong and Redwood City California! I know he is amazing because I married him!